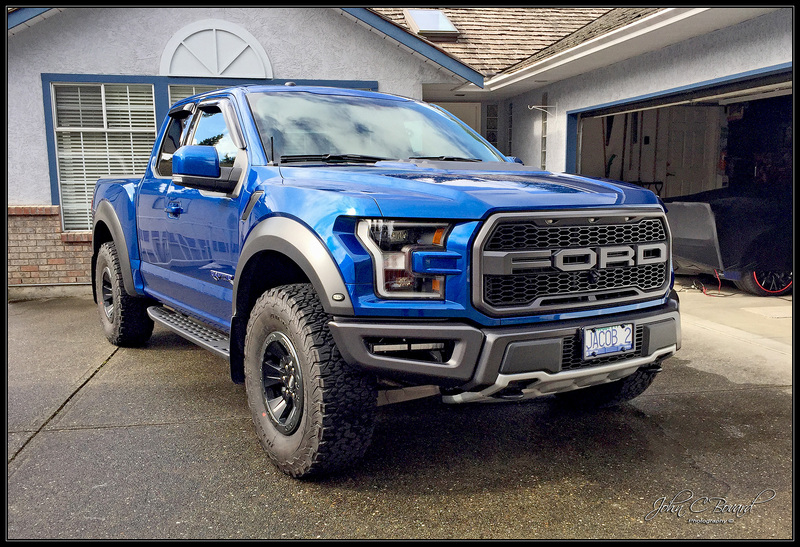 This Supercab is actually one foot shorter than the SuperCrew but only on the Raptor, meaning it will fit in our townhouse garage. 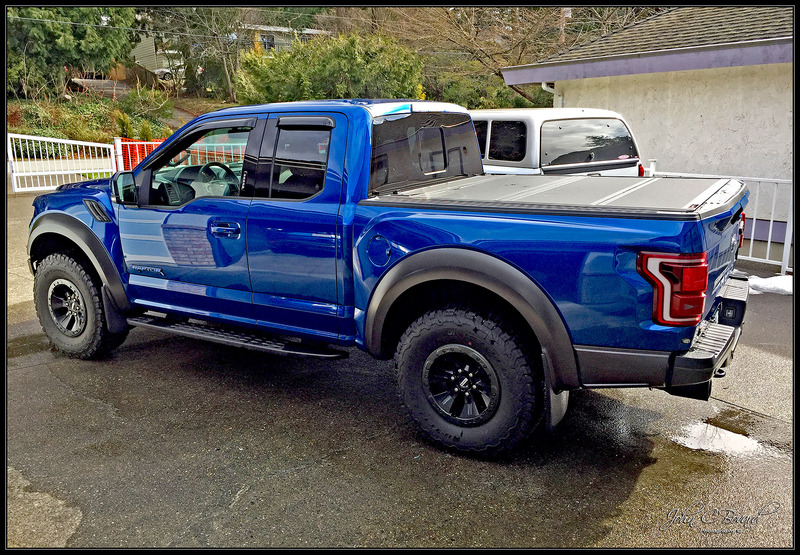 Normally an F150 Supercab gets a longer box. I am amazed they get 450 hp /510 tq out of a 213 cu inch engine. GM does something similar on the Cad ATS-V 3.6 liter. Last edited by Jacob; 07-10-2018 at 06:40 AM. Last edited by jub jub; 03-14-2018 at 10:46 AM. My 5.7 Hemi will lay to waste anything that Ford has to offer, except maybe the Raptor, on paper. I have never raced one but, I think in the quarter I could take it. I'm about 1200 lbs lighter and my 0 to 60 time is about 6 seconds. Trans= 8 speed electronic shift. My RAM is one of the best trucks I haveevr owned in the way of reliability and owner satisfaction. The Ram Sport is a very nice truck and will definitely sound better. The Ford reminds me of the Detroit diesels in our last big boat. But I guess these smaller twin turbo engines are the way things are headed. Look at the ATS-V, which is an awesome ride with a funny sound. Last edited by Jacob; 03-14-2018 at 10:22 AM. 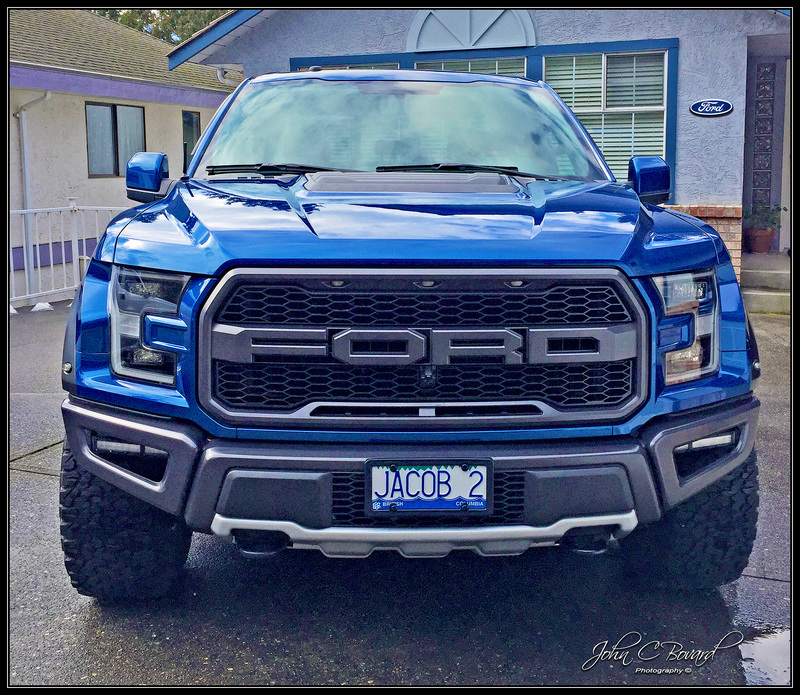 Beautiful truck Jacob. I believe you were in North Vancouver before. Back there again? Closer to the USA, in the White Rock area. A Nexus pass will speed up buying cheaper gas in Blaine, WA. No one ever accused a Raptor of getting great mileage. Will need to drive down to Everett for coffee sometime Pat. 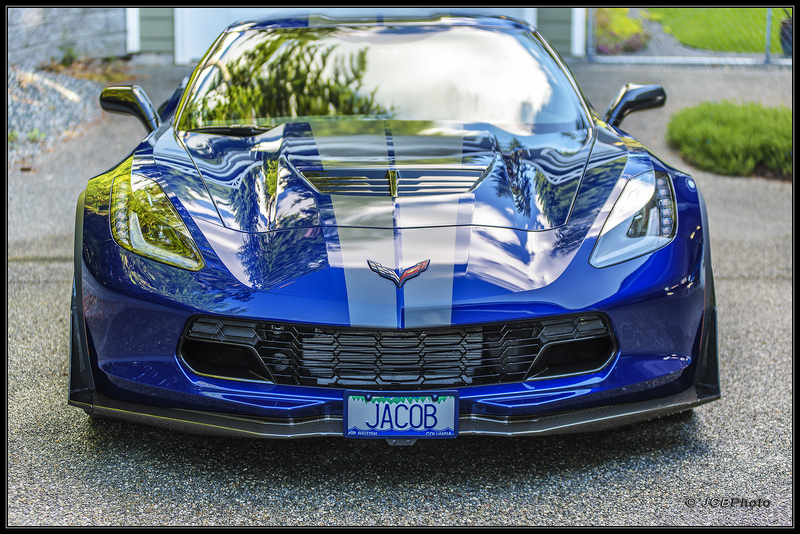 Last edited by Jacob; 03-14-2018 at 07:37 AM. I'm up for coffee anytime Jacob. I need to get a passport one of these days but not sure my govrmnt would let me back in. Hey Jacob, serious question. What wax are you using because your truck is so damn shiny, I cant stand it! I will be honest. The perceived shine has a lot to do with the lighting in the photos, especially the use of reflected light off of buildings. But the truck actually has a pretty decent paint job and only 1 coat of Auto Glym Super Resin Polish, done outside in 60 degree weather. I have found this UK product to be the best polish available for "quick and easy" application, even in colder weather. I tend to use this on daily driver cars, as Zaino or something similar is so labor intensive and requires so many coats. So far, I have been very pleased with all the Auto Glym products, especially their leather balm and tire dressing. The 2017 Z06 on the other hand was done by a local professional (RIBA Detailing) , as part of a paint correction process (orange peel removal). I had him do a test section and did a before/after photo shoot, for submission to my GM dealer. They approved a warranty repair, farmed out to the local detailer. Their own body shop was afraid to tackle the job. After removing the peel, RIBA did a ceramic like finish which actually wasn't a true ceramic. He claims ceramics don't allow the paint to breathe. On the Z06, instead of Zaino, I intend to continue using the product he used which is a silicon dioxide formula called Essence Plus made by CarPro. I guess GM was a little sensitive when I explained while submitting the photos that my wife's 2017 Ford Escape had a far better paint job than the Z06, which cost nearly 4 times as much. Approval for the paint correction took 4 hours. The Raptor paint job was also far better than the Z06. I should add that this Z06 was produced prior to the new paint line at the BG plant. Hopefully today's cars have much better paint quality. Last edited by Jacob; 07-10-2018 at 06:43 AM. What Bob said. Looks like molting metal or something. 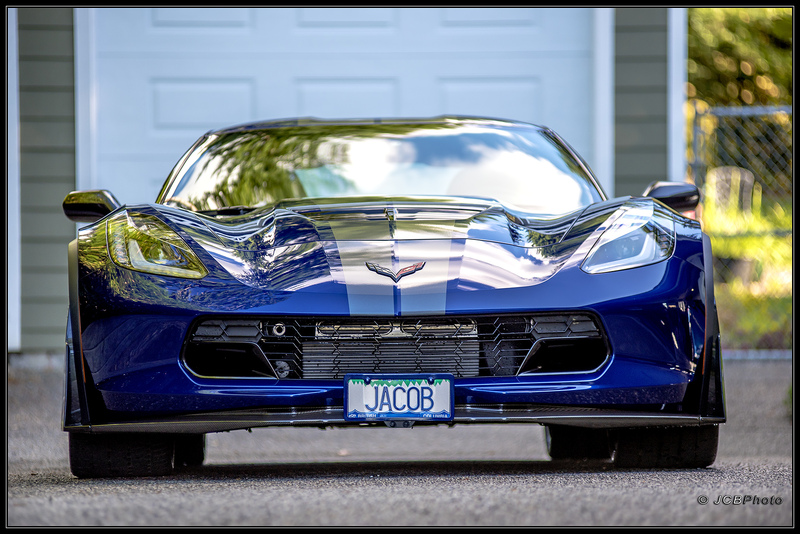 Stunning vehicles Jacob! Thanks for sharing! Just read this. Disregard my ceramic coating question in the other thread. BTW, anyone interested in ceramic shines should check out youtube channel "Corvette918". His black on black C7 is ridiculous! I did. Likely the best I've seen. Interesting series of car care videos. Last edited by Jacob; 07-10-2018 at 06:44 AM.